The Georgetown Global Education Institute (GGEI) is an international executive training program that provides education, training and mentoring to leaders and administrators from emerging economies. 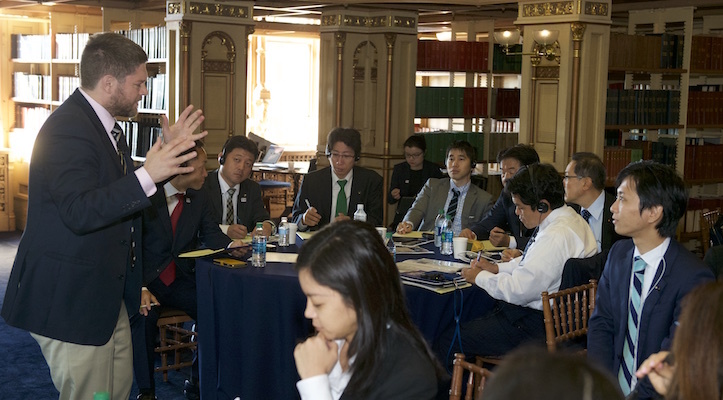 GGEI brings together the world’s leaders in a collaborative educational environment tailored for senior government officials and corporate executives from around the world, including China, Japan, India and Brazil. 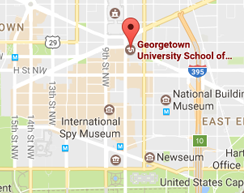 Georgetown has created an interactive network of institutions and organizations that provide expertise in the areas of urban development, financial management, sustainability, public policy and innovation and entrepreneurship. Program participants travel to various cities in the U.S. and gain the knowledge they need to better understand global, national and regional issues facing governments today, as well as the strategies needed to address those issues. GGEI is an initiative of the Georgetown Office of the President and is administrated by the Georgetown Office of the Chief Operating Officer and SCS Office of the Dean.